My work captures and reveals the layers, patterns, and textures of my rural landscape, such as a carpet of decaying leaves in the woods, or the contours of a freshly plowed field. My mother was an accomplished seamstress and musician. At an early age I became intrigued by the designs of the patterns and fabrics she used, while my own studies of music imprinted a sense of cadence and harmony. My father was an exuberant craftsman in many disciplines, who taught me to appreciate the beauty of good design, such as the Airstream trailer and an anvil storm cloud. These influences have made their way into my work. 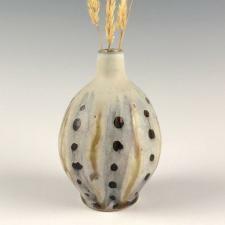 I fell in love with ceramics in 1990, when on a whim I took the first class ever offered at the Northern Clay Center in Minneapolis. 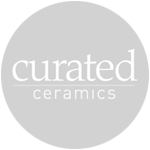 For the next several years I worked in clay part-time while running a Twin Cities graphic design business. 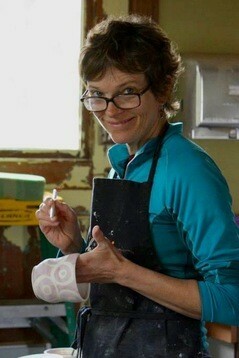 I have since transitioned into a full-time career in ceramics, living and working in rural southern Dakota County. From the beginning I have pursued a non-traditional approach to ceramics learning. 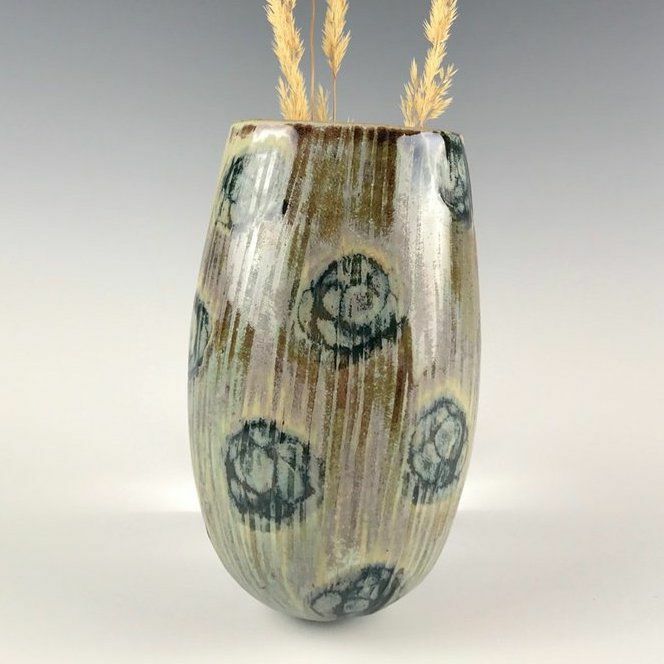 In addition to coursework at the Northern Clay Center, I have worked with accomplished artists in intensive workshops throughout the US. 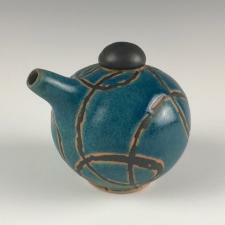 I feel fortunate to enjoy the camaraderie of, and be challenged by, talented ceramic artists in our area. 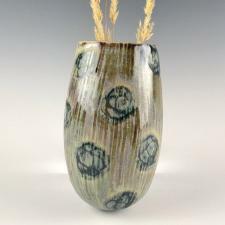 In response to my transition to a rural setting, I founded Minnesota Women Ceramic Artists (MNWCA) in 2008. MNWCA is a non-profit professional organization that hosts events, sponsors exhibitions and provides support to its 70+ members. My work is primarily functional high-fire light stoneware, with a current emphasis on serving pieces and vessels. 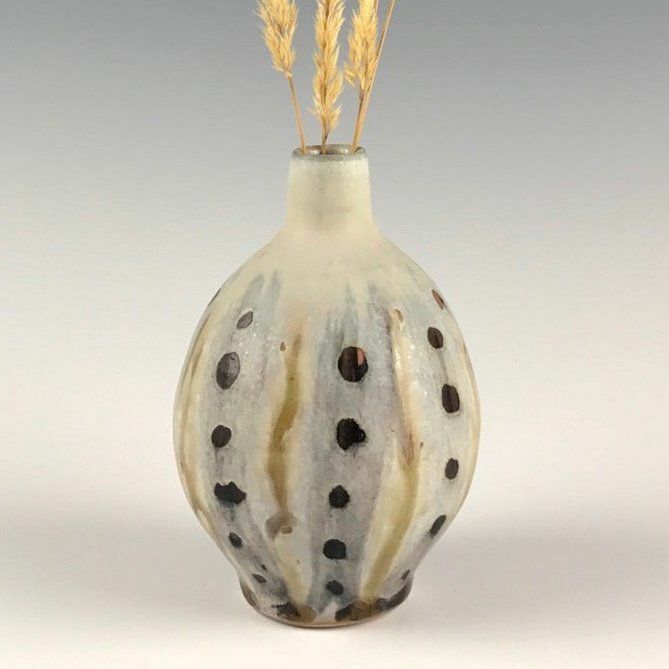 My recent work merges the subtle patterns, colors and textures found in historic textiles, the graceful forms of early 20th-century design, and the rich surfaces achieved in soda and wood firing.